U.S. 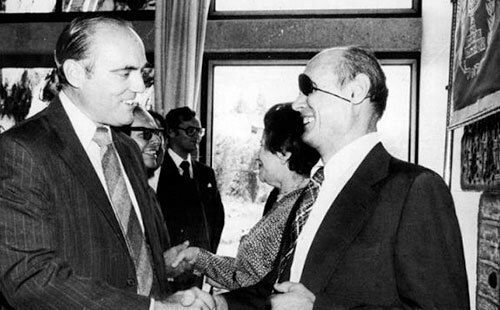 Ambassador Samuel Lewis (left) greets Israel's Foreign Minister Moshe Dayan in Tel Aviv in September 1977. 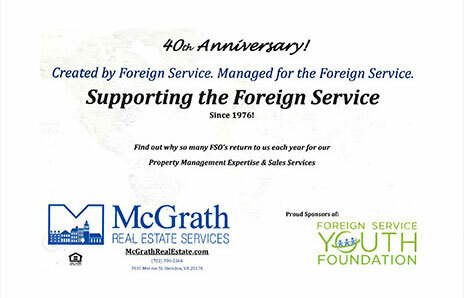 Thirty years ago, the late FSO Samuel W. Lewis ended an eight-year tenure (1977-1985) as the United States ambassador to Israel. Besides being the longest-serving U.S. diplomatic representative to Israel, he was almost certainly the most popular. Prior to his appointment, Lewis, a career Foreign Service officer since 1954, had served in Italy, Brazil and Washington, D.C. Only his 1975-1977 assignment as head of the Bureau of International Organization Affairs had given him any firsthand experience with the Arab-Israeli dispute. Lewis recalled many years later that he had been offered the choice of an ambassadorship to India, South Africa or Israel. Because it offered “a unique and extraordinary kind of challenge,” as Lewis recounted in his 1998 oral history for the Association for Diplomatic Studies and Training, he chose Israel. That decision proved momentous. From the time he arrived in Tel Aviv on May 18, 1977, Ambassador Lewis was an active participant in the Israeli-Egyptian diplomatic breakthrough. Though he modestly described himself as a mere “postman” relaying messages from the Israeli government to Egyptian President Anwar Sadat prior to Sadat’s historic visit to Israel on Nov. 19, 1977, Lewis was intimately involved in the negotiations between the two countries. President Jimmy Carter (quoted by G.R. Berridge in Diplomacy: Theory and Practice) said that he always looked forward to reading Lewis’ analyses on Israel, which he found both enlightening and helpful. Few are the American diplomats whose cables reach the desk of the U.S. president. Fewer still are those whose cables he reads with interest. Carter summoned Lewis to participate in the Camp David Summit, which he convened in September 1978. Those talks would lead to the signing of the Framework Agreements for Peace between Israel and Egypt on Sept. 17, 1978. Lewis had been involved in the secret diplomatic discussions aimed at preparing the U.S. delegation for the crucial conference. Following the Likud Party’s electoral victory on May 17, 1977, Amb. Lewis urged the Carter administration to treat the new prime minister, Menachem Begin—widely regarded as obdurate and extremist—gently. Honey was preferable to vinegar, he stressed. As Begin prepared to make his first official visit to Washington as prime minister, National Security Adviser Zbigniew Brzezinski urged the president to tell Begin in no uncertain terms that his positions on the future of the West Bank and Gaza were totally unacceptable. Lewis reiterated that adopting a harsh line with Begin would be counterproductive. Fortunately, that view prevailed, and the visit was crowned with success. There is perhaps no stronger indication of how well Lewis performed his duties in Tel Aviv than the fact that just days after his November 1980 electoral victory, Ronald Reagan asked Lewis to stay on in Israel. That was an almost unprecedented vote of confidence in a career diplomat, particularly one named to his post by a president of another political party. Amb. Lewis was the first foreign representative to hear from Prime Minister Begin that the Israeli Air Force had destroyed Iraq’s nuclear reactor on June 7, 1981. He was also intimately engaged in the diplomacy surrounding Israel’s Lebanon War, which began in June 1982. It was under President Reagan that Lewis was instructed to undertake perhaps the most uncomfortable task of his ambassadorship. In August 1982 he was instructed to convey to Prime Minister Begin, while the latter was on vacation in northern Israel, the contents of what would be known as the Reagan Peace Plan. This proposal had been prepared with the active participation of Saudi Arabia, Egypt and Jordan—but without Israel. Begin was furious, but Pres. Reagan unveiled the plan anyway on Sept. 1, 1982. As Lewis predicted, it failed to advance the cause of peace. The episode did not lessen Begin’s personal affection for Lewis, or his admiration for the envoy’s professionalism. Beyond the realm of private diplomacy, where Lewis excelled, he was a very popular figure in Israel. Warm, accessible and charming, he frequently dressed casually, in keeping with the informality of Israelis, and attended sports events. And even though the ambassador could barely speak a word of Hebrew, many Israelis thought he was Jewish, which he wasn’t. Lewis had a singular ability to comprehend the most intimate fears harbored by Israelis, to grasp the essence of their yearnings. He was especially adept at dealing with Israeli political leaders. He forged a close relationship with Begin and became a good friend of other politicians, notwithstanding their diverse political leanings and their different personalities. Samuel Lewis’ ambassadorship in Israel demonstrates that a professional diplomat can have an important influence on the shaping of foreign policy. Beyond the input Lewis was able to bring on occasion to the actual formulation of foreign policy, he managed to enhance his country’s image, values and interests by the force of his personality and through his singular diplomatic style. For that and much more, both the United States and Israel owe him a debt of gratitude. 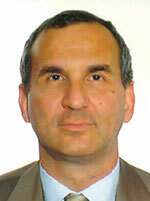 Yoav J. Tenembaum lectures in the graduate diplomacy studies program at Tel Aviv University. He has published numerous articles on diplomatic, political, historical and philosophical topics in foreign and American magazines and newspapers, including The Foreign Service Journal (“The Role of the Diplomat in the Modern Era,” January 2010).